Welcome to another season of NYFW! Spring 2018 launched this NY Fashion Week. Here are a few fashion designer sketches to give you a taste of what the shows have in store for you. Designer Taoray Wang's collection has the theme of Baroque in Shanghai. Her muses were musicians Purcell and Handel. 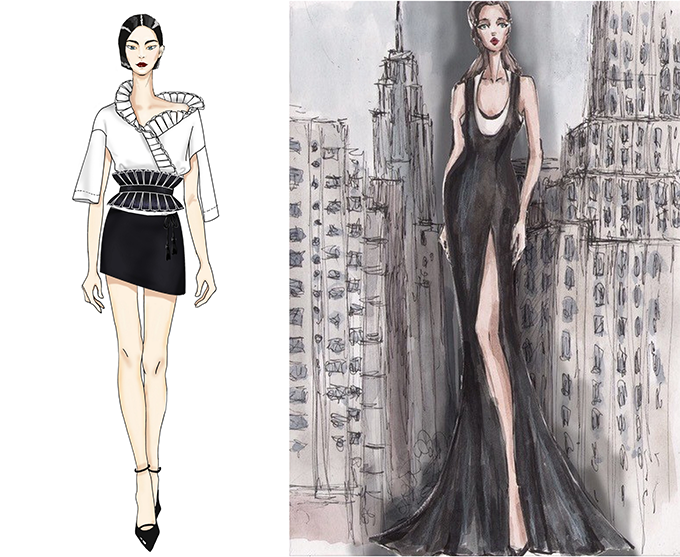 Irina Vitjaz looks to have designed lots of body curve-hugging sleek silhouettes based on the sketches I have seen. The design team behind Cushnie et Ochs were inspired by the painted flowers of Frida Kahlo. Also inspired by painted flowers was the designer Mijia Zhang who looked to the art of Marc Quinn. Both Pamella Roland and Adeam were inspired by recent travels. Roland with Monaco and Adeam with Hong Kong. Bibhu Mohapatra and Han Chong both incorporated graphic stripes into their looks. Ji Oh took simple tailoring to redefine the woven shirt. As you can see, there is something for everyone this NY Fashion Week for the Spring 2018 season. There were many changes this time around as far as format and location. I myself am only attending a few presentations as they are all over the city. Many designers opted not to show a full runway, preferring intimate presentations or appointments. Luckily, for every designer taking it easy, many up-and-coming designers will take their place. 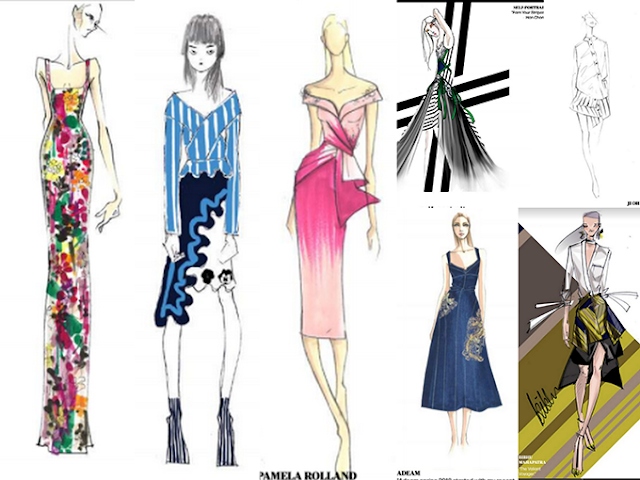 Sketches provided by the designers.